PDS Pitches hire out sports facilities in various areas of the UK, including Hampshire, Dorset and Middlesex. Following our branding work with the company, we designed and developed a new easy-to-use/easy-to-manage website in WordPress. 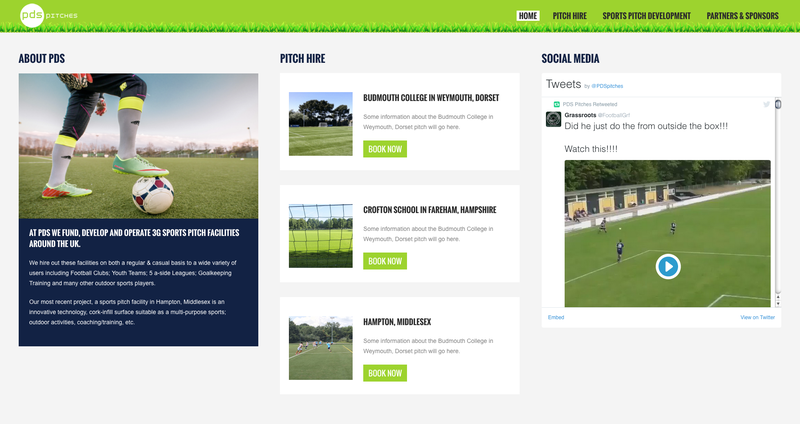 This would not only provide an online hub for these three locations but also give PDS Pitches the chance to share a bit more information about their sports pitch development and funding opportunities to an online audience. 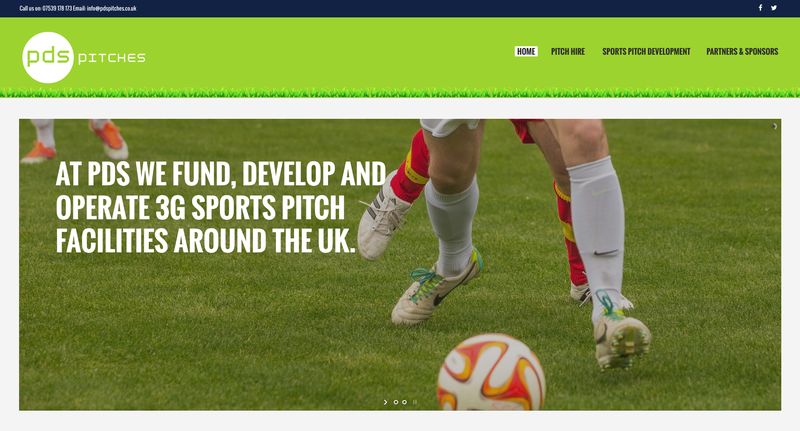 After creating the logo for PDS Pitches, we translated the branding into a bright and accessible website. 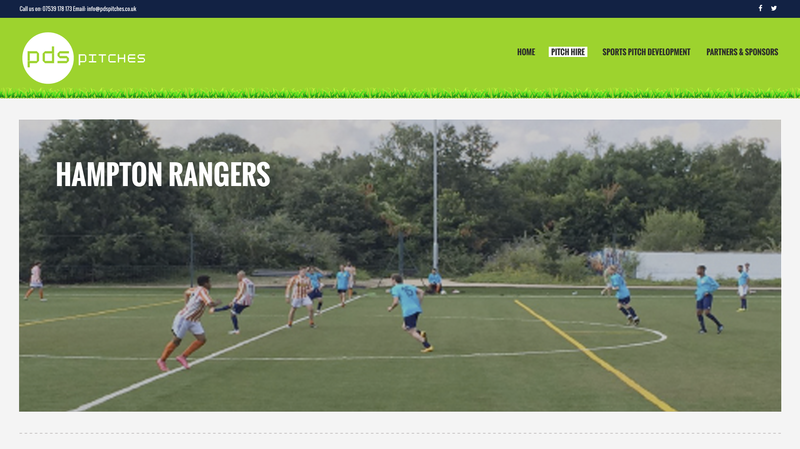 Beneath the main transforming image banner, a column layout is used on the homepage, with information about the company and hire locations in the first two columns and the PDS Pitches Twitter feed in the third. 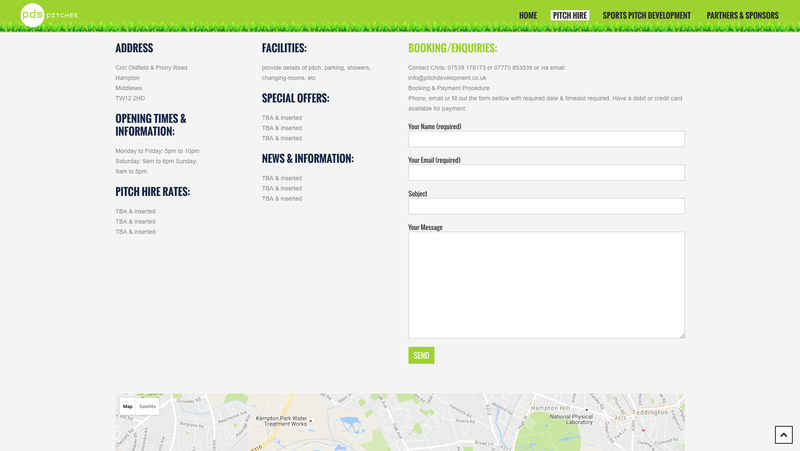 Users wishing to book at one of the pitch hire locations can get in contact via the booking form available on each venue page. 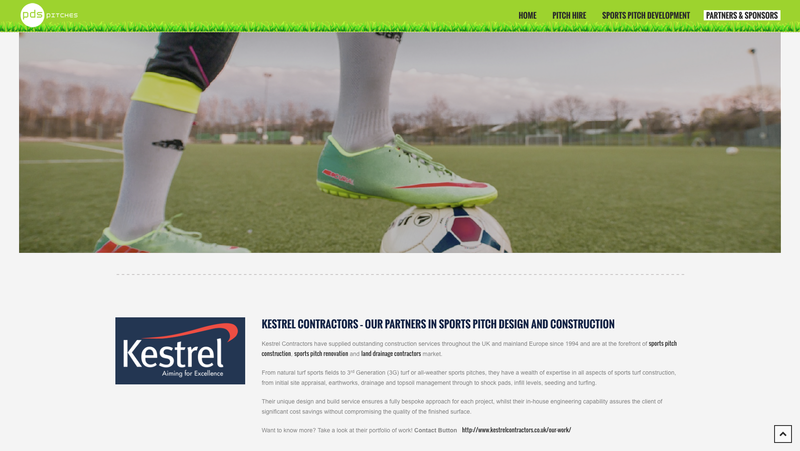 Visitors can also find out more information about the hire locations from the top navigation, along with details of the company’s sports pitch development programme and partners/sponsors.